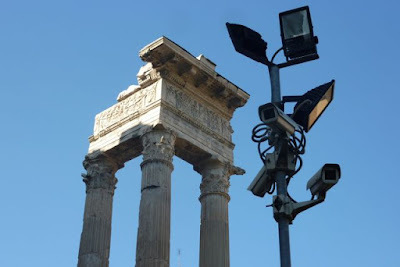 Rome is the Eternal City and video cameras are keeping watchful vigil over these Roman ruins. 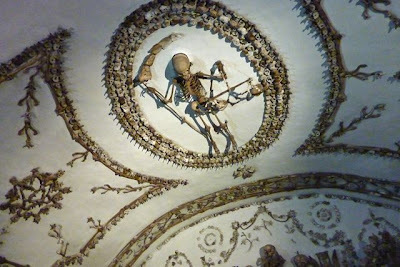 There is a church in Rome run by the Capuchin monks that houses a crypt which artfully displays the bones of its deceased members. Check it out here. The Marquis de Sade was quite taken with it. 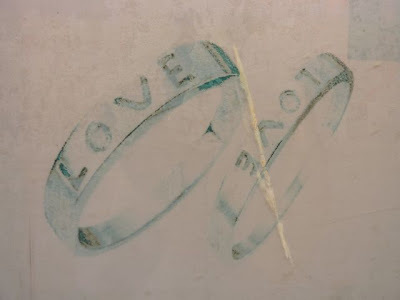 Something about allowing fading of this product photo that works to undo the 'love' message. It's now commentary. Because the metal grid beside the face image is so ambiguous, the scale of this image is--to my mind--difficult to sort out. 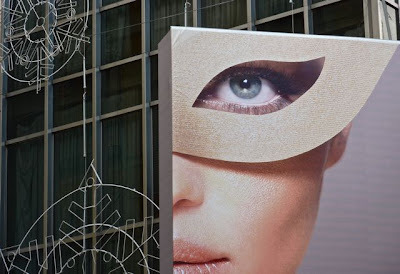 The reality is that the face is about 20 feet tall. Click photo to see larger. 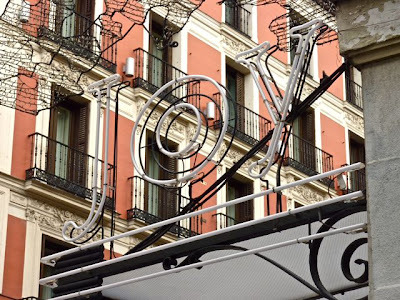 This is a photograph that seems to be conspiring to hide the joy in a melange of color, form and architecture. Sort of a Where's Waldo concept. 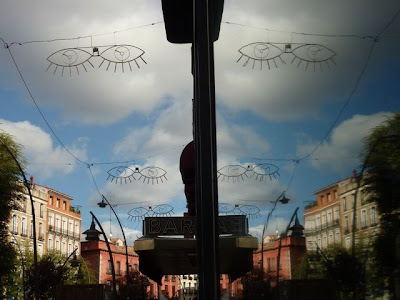 All throughout the central core of Madrid you'll find various hanging artworks such as these in the Tirso de Molina neighborhood. Note: the right side of this image is a reflection of the left side, as will become obvious when the image is made larger by clicking on it.